Every once in a while, you come across a home as a real estate broker that you have not seen before. 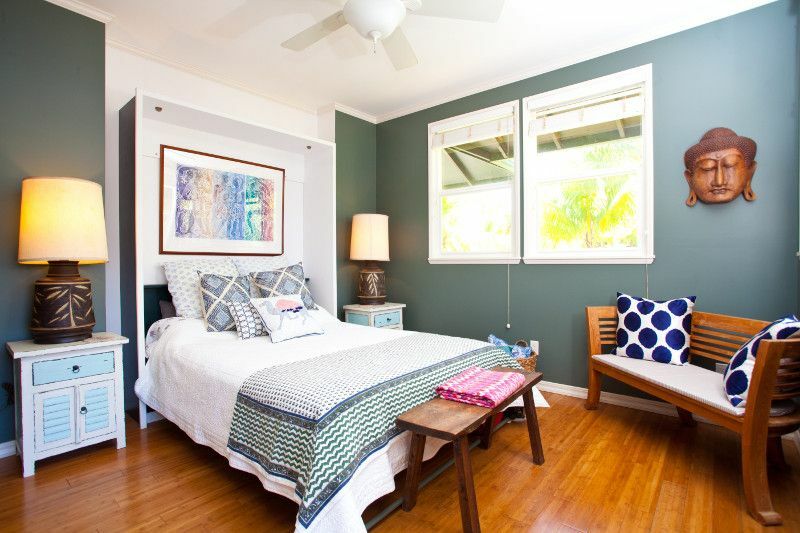 57 Lahaole is one of those properties. 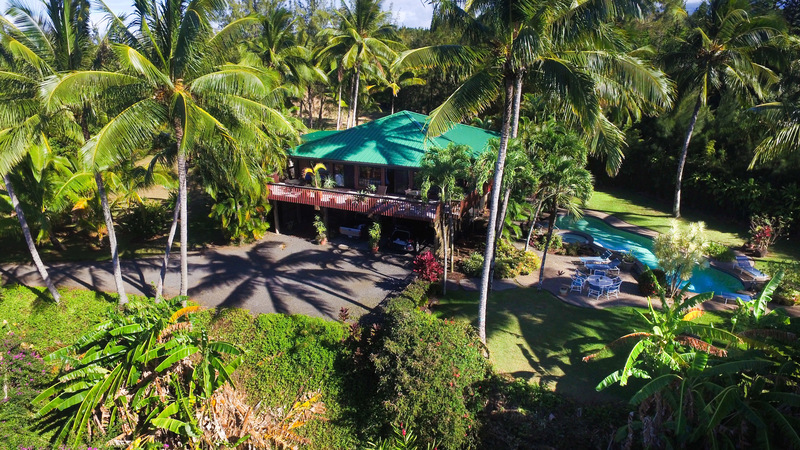 Located 8.5 miles outside of Wailuku Town, Maluhia Country Ranches is about as peaceful as Maui gets. 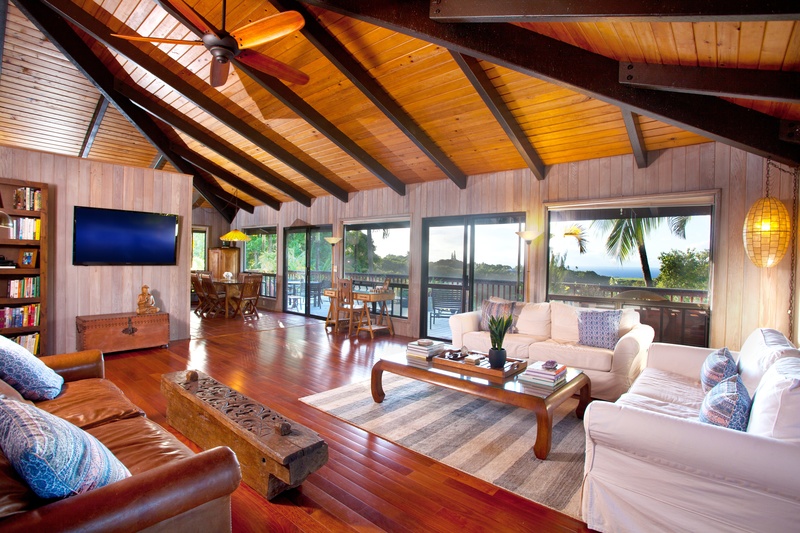 160 Nahele is located in Haiku on Maui's North Shore. It's 25 minutes from the airport and 10 minutes from one of the best surfing/windsurfing locations in the world, Hookipa. 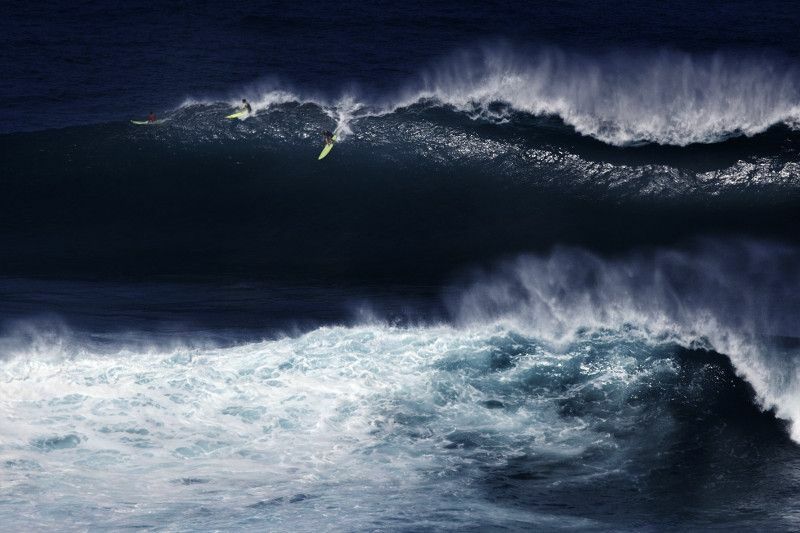 When big winter swells arrive you can even hear the boulders being rolled by Peahi/Jaws just a half mile away. Haiku has tons of great restaurants (my favorite is Nuka Sushi), shopping and even a gym. 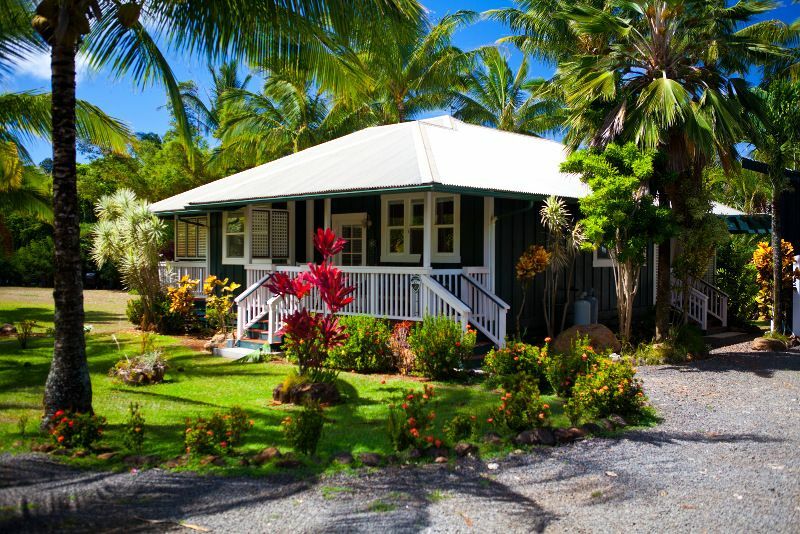 If you're looking for a country lifestyle that is not too far removed, Haiku might be your cup of tea. We are actually selling two lots as a package that are owned by the same entity. 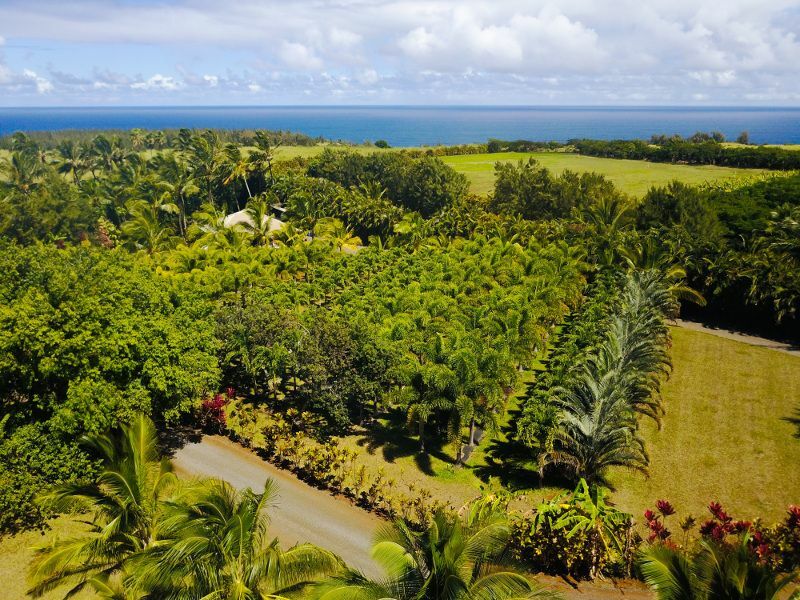 The first lot is a 4.22 acre lot with a 4 bedroom/3 bath main home and 2 bedroom/3 bath cottage/ohana, the smaller lot is an adjoining .68 parcel. We are in process of a lot line adjustment, our intent is to have both homes remain on the same lot and adjust the smaller lot to be a 2 acre parcel. Doing this would leave us with the house and cottage on 2+ acres and another 2+ acre lot that would allow another house and cottage. The vacant lot would need to be on water catchment being that the water meter would stay with the original lot. With the vacant lot being two agriculturally zoned acres you could build a full size 1,000 sq. ft. cottage along with a main home. There are over 300 palms growing as nursery stock on along with a multitude of other plants trees such as coconuts and mango. 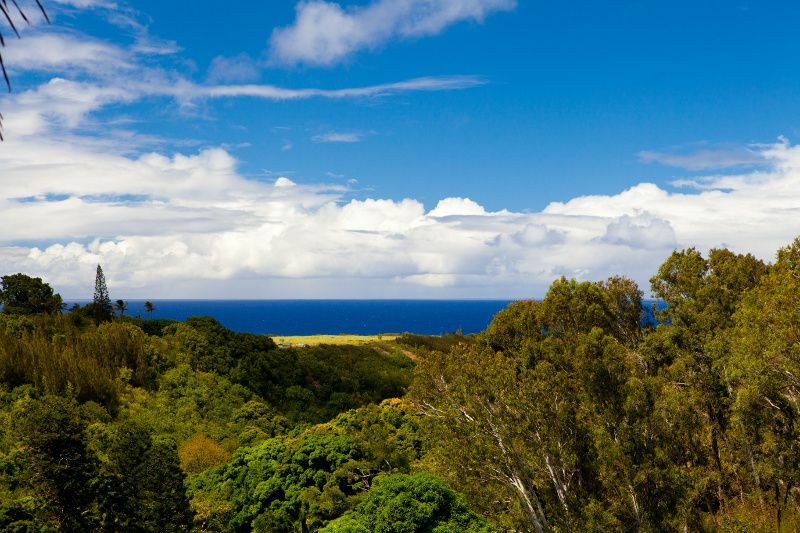 According to the University of Hawaii Rainfall Atlas, 160 Nahele receives 54.81 inches of rain annually, that's pretty ideal for farming and greenery. The main home was built in 1985 and remodeled in 2011. It's a 4 bedroom/3 bathroom pole house with an amazing view from both levels and the in ground pool. The roof was replaced in 2015 giving it fresh and functional facelift. Tracy (my business partner) even milled some of the Koa kitchen cabinets back in the '80s from his mill on the big island, it's hard to find wood working of this level any longer. A huge benefit to being a "pole home" is the open space, the 2,500 sq. ft. of interior living feels more like 3,000. 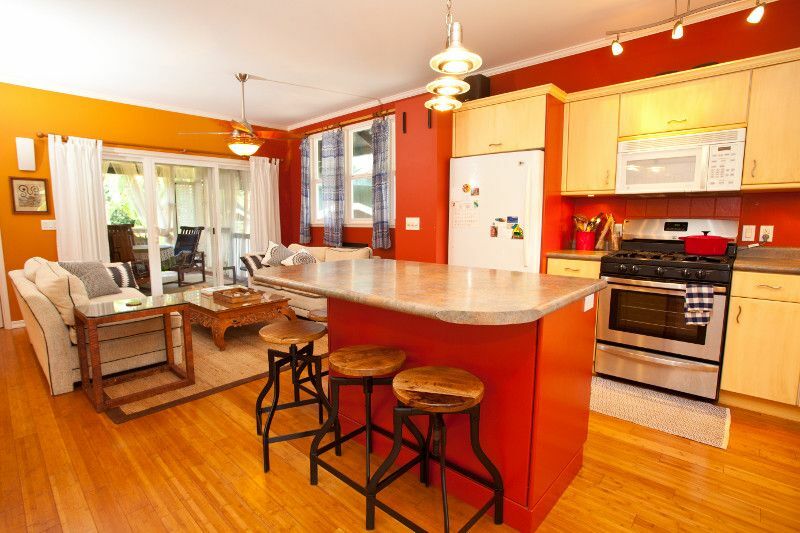 This home was previously a licensed bed and breakfast, check out this article from 2012 when we sold it last. 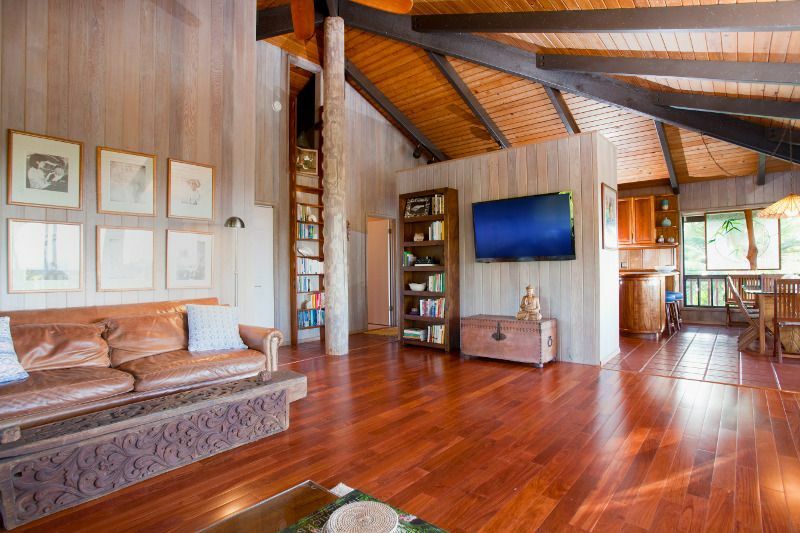 I live about 1 mile from this location and if I had a home to design specifically for Haiku I would incorporate the high ceilings and open floor plan from this home for air flow and light. What's not to love about it? Even though this cottage was built in 2004 it feels like you're walking into a painting of a 1920s plantation home. 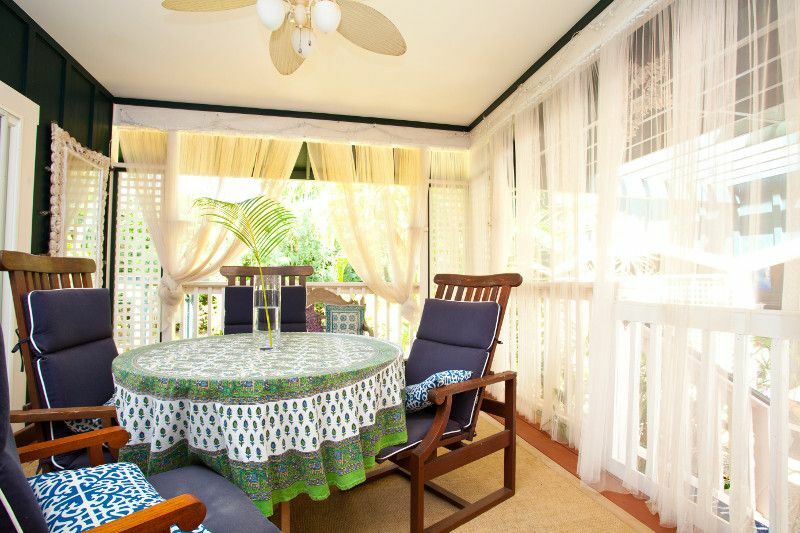 The covered lanai in the back is the perfect dining area and even better for hosting cozy get-togethers. The 2 bedroom/2 bath layout leaves multiple possibilities, you can lock off the center of the house and enter from either side (it's perfect for friends, family, and visitors who want their own space), it essentially creates two divided spaces. Want To Know More About Haiku? I hope you feel the same way we do about 160 Nahele. 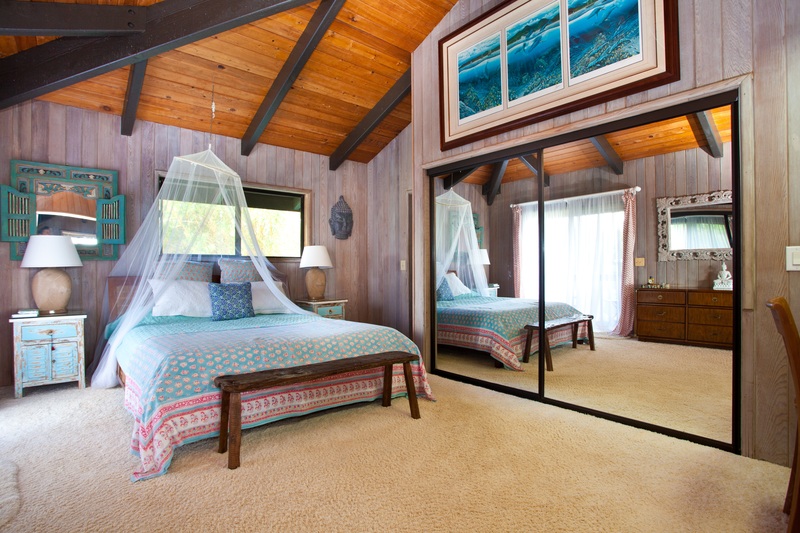 I love living in Haiku, give me a call and we can talk about why. 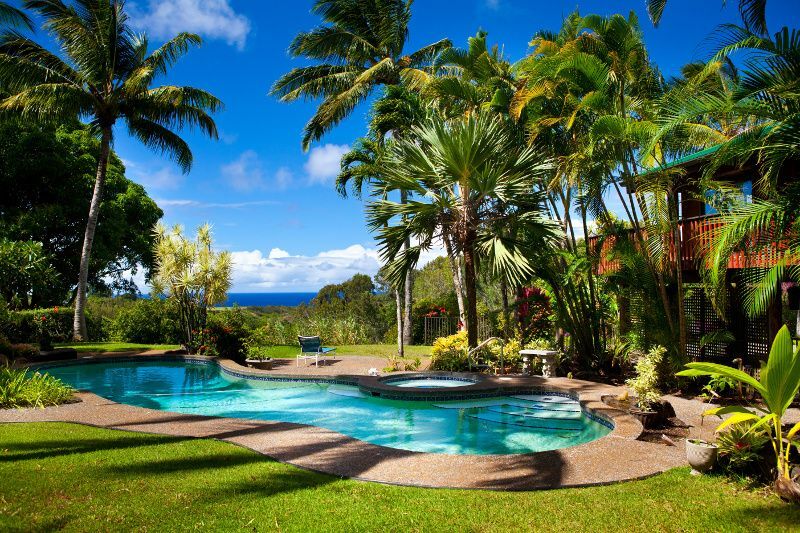 The Stice Team has over 45 years of Maui real estate experience. Both Tracy and myself are involved with the Board of Realtors at the state and local level, volunteering on Government Affairs, Technology and multiple other committees. We stay in front of real estate issues and love using our local knowledge to assist our clients. Give us a call, we would love to help with your real estate needs.